A new dance tune of up girls (provisional). Members participated in meetings from the time of music production, now we created the theme of songs that we wanted to deliver. 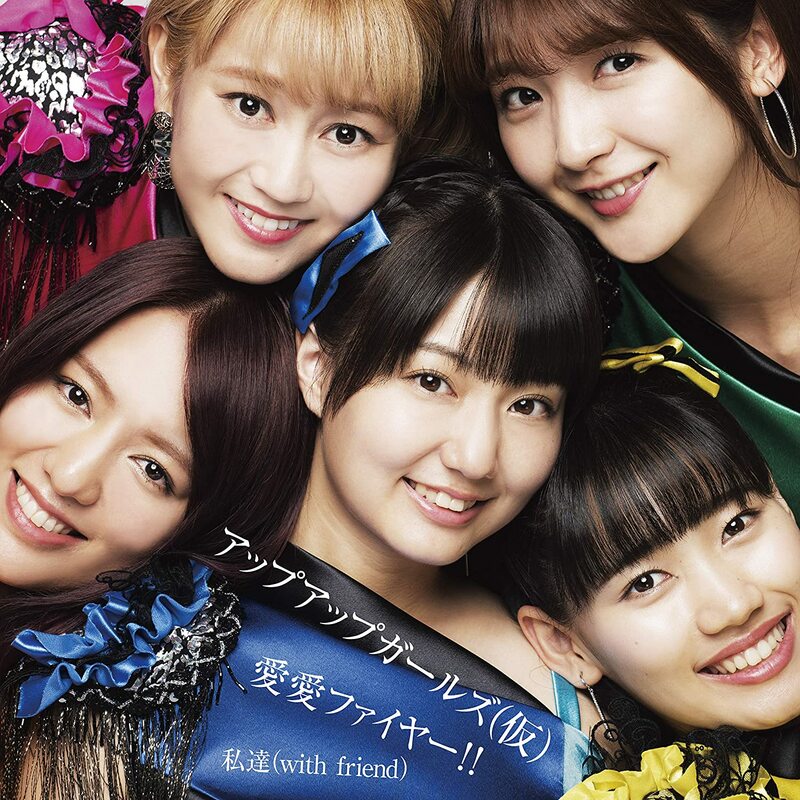 “We (with friend)” re-recorded “We” which was recorded in the fifth album “5th Album (Tentative)” released on June 19. Lyrics Uchinaka Kaya, Composition Kubo Hiroyuki and Inazuma Sentai band recording and new vocal recording was also performed. A band full of heat by THE Inazuma squadron has been added to one song that feels the heat that sang “love and appreciation” from Apgua (provisional) to the fans.